Almost done! My first Amigarumi; an Octopus in the colors I want and a design I like :) As a prototype, it will get a few improvements as each one is made but this is basically it. 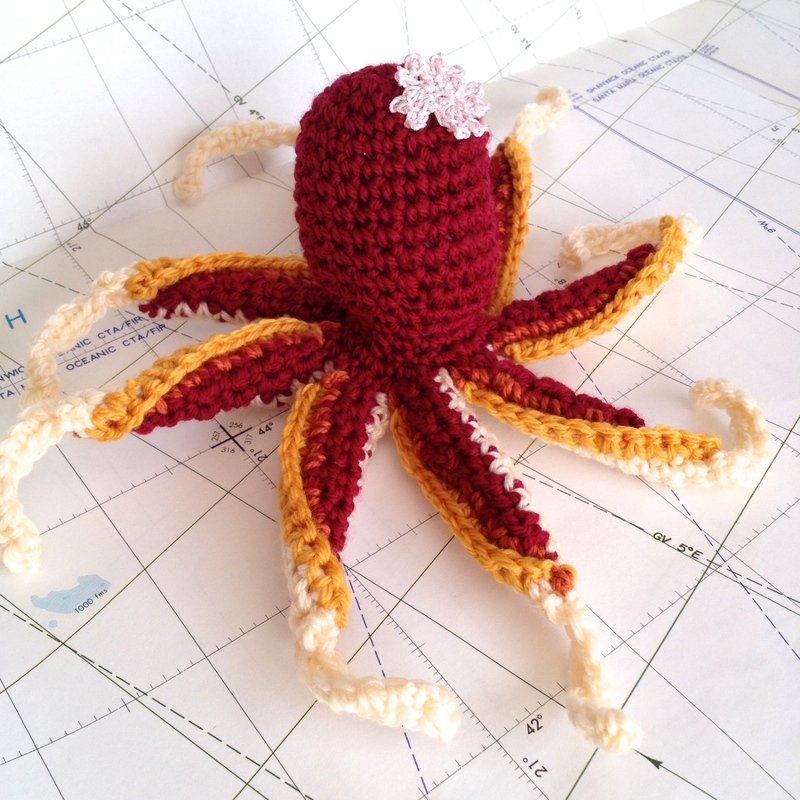 The final design pattern will go in my Tako Life octopus cookbook. Coinciding with NaNoWriMo, is National Non-Fiction Writing Month in which I am participating by writing a cookbook. My first foray into writing a book, I’m having fun deciding which recipes to include, taste testing and designing the look I’d like to have for the book. FYI – I like broccoli. I like octopus. But most definitely NOT together in a recipe…UGH!